Literally, the beep heard around the world. In 1957, 55 years ago, the world changed forever when a 585mm (23″) diameter chrome ball became the first man-made object to leave Earth’s atmosphere. It carried with it a tiny, 1-watt transmitter but its beeps were heard by amateur radio fans everywhere and it ushered in the modern communications era. Before Sputnik was launched, the only instantaneous communication between countries was through submerged telephone wires, themselves a new invention. These wires were susceptible to damage or sabotage, and most countries weren’t connected. A small orbiting ball, with a signal heard by all, changed that. In a sense Sputnik’s signal was not only the beginning of satellite broadcasting but the beginning of global telecommunications. At the time, the launch of Sputnik by the USSR (progenitor to today’s Russian Federation) was cause for equal parts fear and celebration. The United States and its allies feared that the USSR had gained a permanent upper hand in conquering the planets and the galaxy in general by proving that they had the technology to put an artificial object in orbit. Of course, this technology could also be used to send a nuclear bomb anywhere on Earth, a fact that was not lost on the leaders of the day. Sputnik’s launch so energized the global discussion on space travel and communications technology that it drove global development of communications satellites, the technology to make them work, the rockets required to launch them, and the equipment required to hear their signals. That one little ball started everything else rolling. The satellite itself had a tiny battery that only lasted 22 days. Its failure, while predicted, led to the development of solar panels as well as the robotic arms to extend them. It burned up in the atmosphere only a few months later, the victim of having no guidance system and being unable to get to the 22,000 mile orbital height required to stay in the same relative position over the Earth. This drove the development of more powerful rockets as well as gyroscopic guidance systems. Sputnik led the way into space, and led to thousands of innovations that drive our modern life. 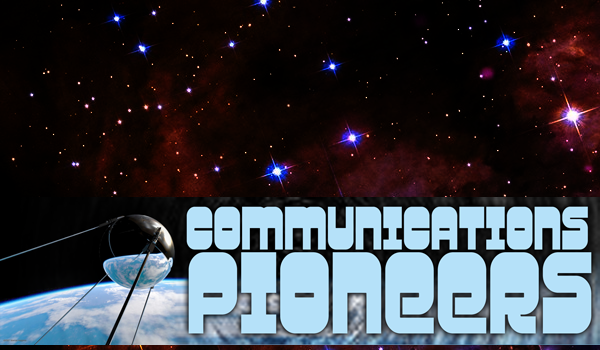 We salute communications pioneer Sputnik, and the engineers who made it possible!